We believe we are a great place to find the right up and over garage door in Worcester, Malvern, Evesham, Pershore, Droitwich, and across the region. 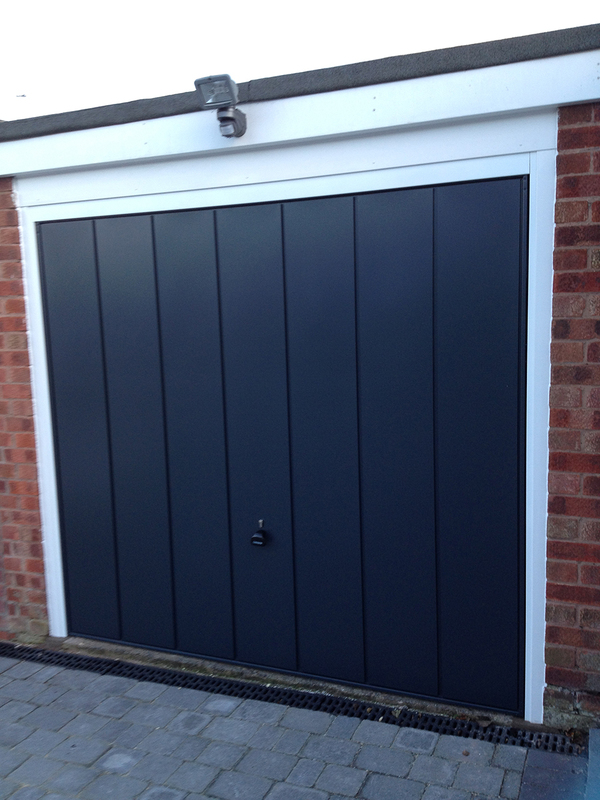 Up and over garage doors remain a popular choice, with the versatility of this simple design and mechanism adapting to suit almost any property. Ours are available in a selection of materials, and with manual and automatic options. For best use of space and ease of operation up and over garage doors canâ€™t be beaten, with little room needed either side of the door for it to operate. Steel -Â The most commonly found material for this kind of garage door, steel suits all styles of home and combines durability with value for money. We have a range of 7 colours to choose from and our steel doors come with a 10 year manufacturerâ€™s warrantee. Timber -Â An excellent choice for period homes or businesses, the timber up and over door provides all the ease of functionality of any other construction, and adds warmth and character too. GRP -Â Fast being recognised for its many benefits for outdoor fixtures and fittings, GRP is resistant to extremes of temperature, the damage caused by UV, and is light and durable too. This is a versatile and long lasting material, with various finishes available. Every garage door from Qualfit comes with expert installation and after care, meaning you can be sure of the quality and durability of the work. Our fitting team are fully professional and will work around you to provide a service that is friendly and convenient. Get in touch to find out more about garage door options in Worcester, Malvern, Evesham, Pershore, Droitwich, and beyond.